When I was a child, my absolute favourite car was Petter Solberg’s blue and gold Subaru Impreza that narrowly snatched the WRC away from Sébastien Loeb in the early 2000s. I had a remote-controlled replica that had all the decals and all the details. I was in love with a supreme piece of engineering, although I didn’t know it at the time. Fast-forward to 2019, and the Subaru AWD legacy lives on in the Forester, the compact SUV that looks more like a station wagon than anything else. These cars are best known for their reliability and longevity: Foresters often remain with families for decades. Still, it’s always nice to own a new model with all the modern bells and whistles, so let’s talk about the latest incarnation. 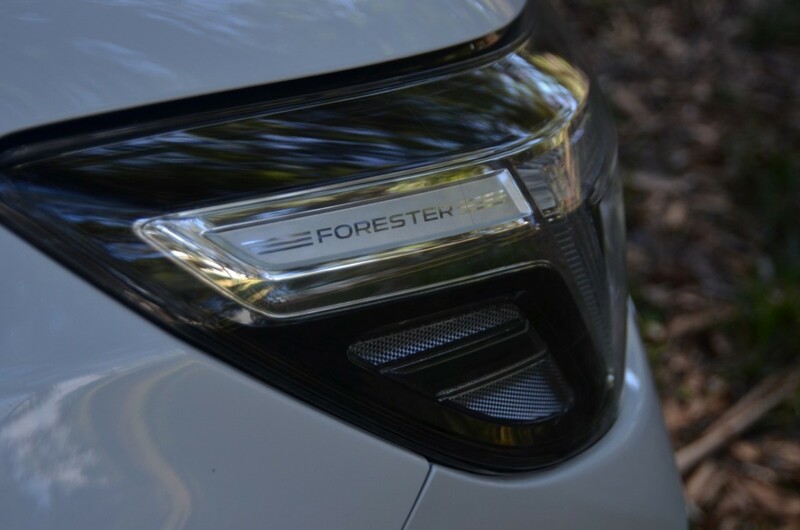 Objectively, the Forester’s design isn’t much to write home about. It’s not a bad-looking car, and certainly not the worst-looking in its segment. Its deep side panels and broad rear look suited to purpose in this wagon, although the key character lines are decidedly understated, with fewer flamboyant flares and curves than many of the current rivals. What’s new in this generation is a more cliff-face grille and a broader lower airdam, now encasing pronounced fogs. The top-end 2.0i-S model which I tested has a large sunroof, and plenty of grey and chrome trim − but, looks aside, the design excels in terms of real-world use. The doors open wider than usual, allowing easier entry and exit. 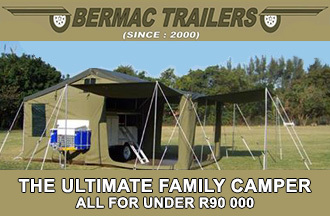 There are non-slip surfaces to ensure that you don’t fall when loading the roof, and a power tailgate which allows you to access the generous 520-litre cargo space even when your hands are otherwise occupied. Inside, the Forester is actually very attractive. The angular plastic mouldings are finished with soft-touch leather on the doors, and there are sleek silver accents on the dashboard to keep things exciting. All the car’s buttons are noticeably solid, and the seats are superb – perfect for comfortable long drives. Nothing is out of reach; and everything, from the gear selector to the sunroof switch, is ergonomically placed. It feels incredibly practical, yet supremely comfortable. 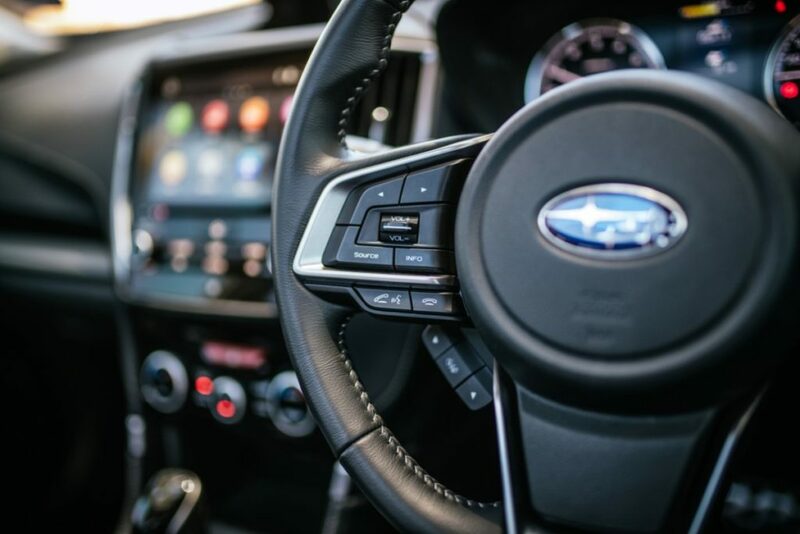 Subaru fans will be happy to know that the new Forester has all the tech toys you’d expect from a 2019 model. The impressive STARLINK media system now has Apple CarPlay and Android Auto, and the S-line model boasts a glorious Harman Kardon sound system. Just above the main touch-screen, a second monitor relays useful information like pitch, roll, oil-temperature and fuel economy. The kids in the back seat will be chuffed with the rear USB ports and aircon vents; and even when you need the seats to fold flat, one-touch electric operation means that you won’t have to do anything yourself. The dashboard features a conventional speedometer and tachometer, but they flank yet another screen that can display a number of details. 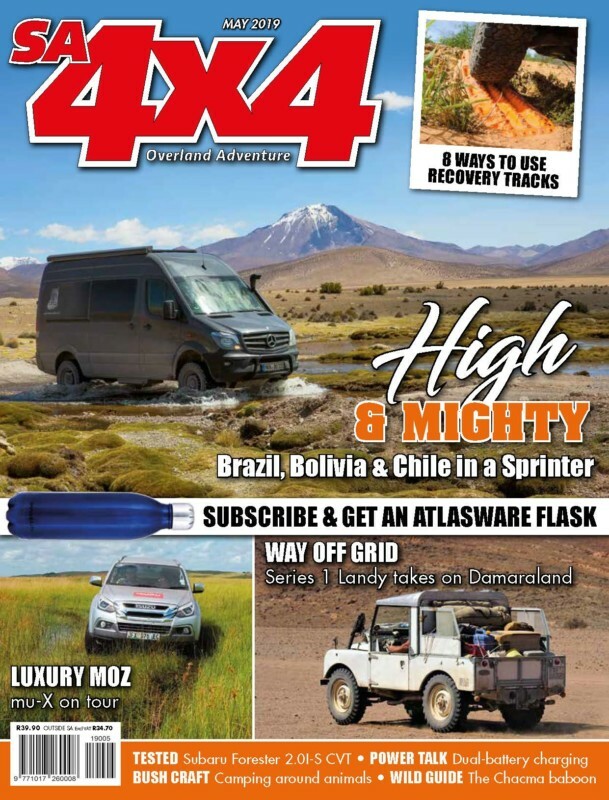 Effectively, then, you have three screens which can each display something different, thus saving you the time and effort of flicking between audio, fuel-consumption and navigation every five minutes. Here’s where the new Forester really outshines the competition. 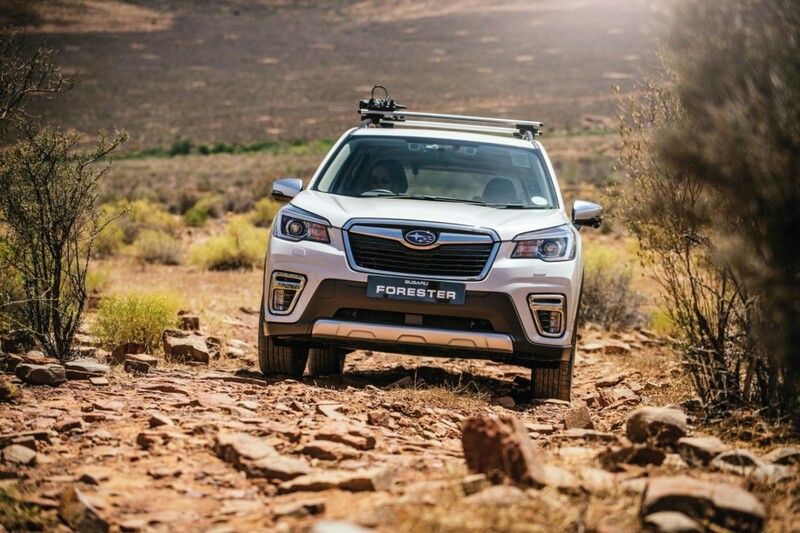 The Forester comes standard with a whole suite of safety features, including adaptive cruise control, lane departure assist, lane sway warning, pre-collision braking, and even reverse auto braking. 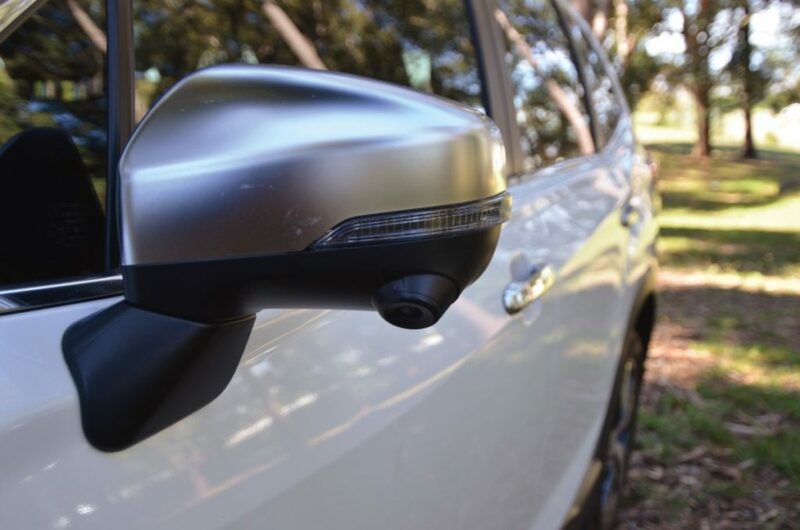 The EyeSight forward-facing camera system maintains an adjustable distance from the car in front of you, and will even bring the Forester to a complete stop before taking off again. All you need to do is steer. It can also detect collisions if you fail to do so, engaging emergency braking and probably saving your life in the process. Lane-departure assist ensures that tired drivers don’t cause trouble, and the reverse camera is bolstered by automatic braking and a cross traffic alert. 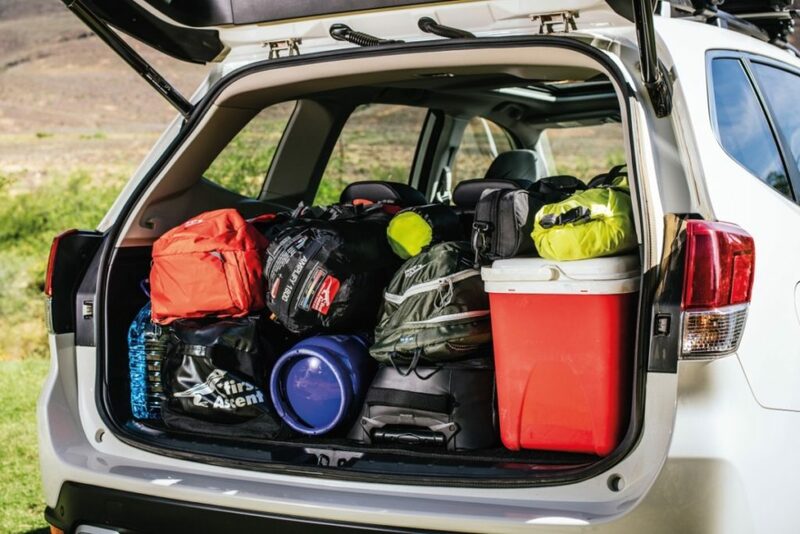 The Forester really goes above and beyond to avoid fender benders, and effectively has all the components of autonomous driving. 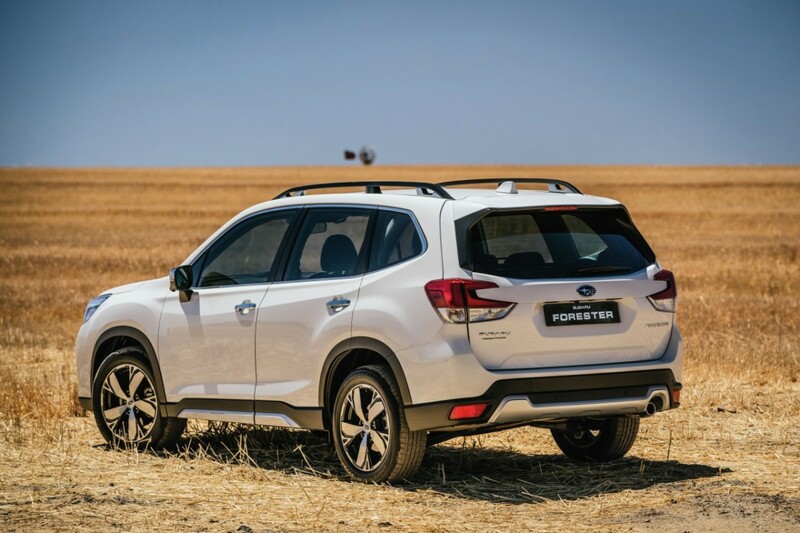 Naturally, the Forester is powered by a Boxer engine, and this four-cylinder naturally-aspirated petrol variant produces 115kW and 196Nm. It’s a bit of a come-down from the previous gen which sported a 2.5-litre Boxer producing 126kW/235Nm, but which carried a fuel penalty: typical consumption 9.8-10.5 litres/100km. 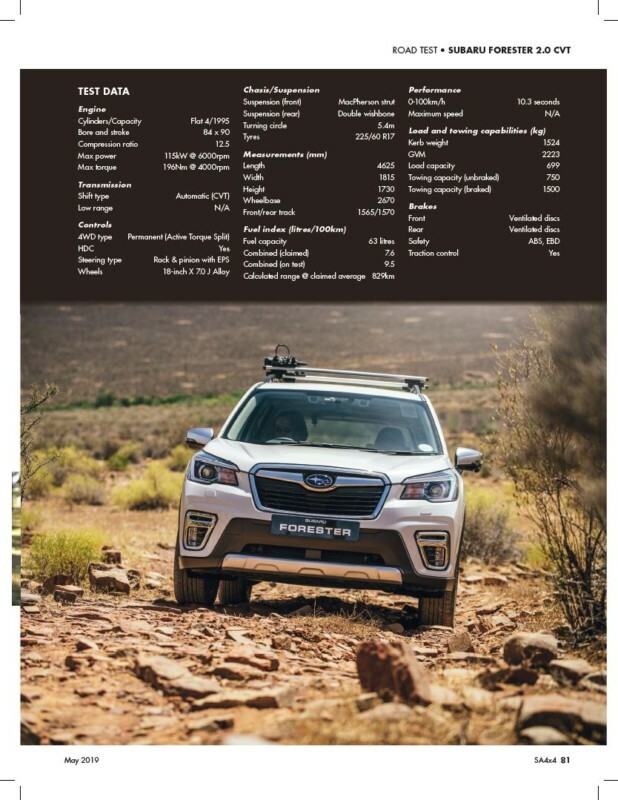 The new, smaller, displacement unit is also carried across the range − again, with the exception of the turbocharged XT 2.0-litre variant − and herein lies the Forester’s only real issue. All models come with a 5 year/150 000km warranty and 3 year/75 000km service plan, bundled with Subaru Assist. Although the engine has enough grunt for quick starts at the robots and rapid overtaking moves, it never really follows through, suffering from that typical whiny performance expected from CVT drivetrains. However, the Lineartronic CVT is perfectly adequate for city driving, and for just about any other application where rapid acceleration is not required. Subaru’s SI-Drive system allows you to switch between Sport and Intelligent modes at the touch of a button. In Sport, the throttle becomes more responsive, but you get measurable joy out of it only if you use the paddle shifters in manual mode. However, once you do get the Forester up to speed, active torque vectoring allows you to throw it into corners and actually have some fun. By shifting torque to the outside wheels, you can charge out of turns without sacrificing any traction or power. That said, and having given the ride and handling an enthusiastic thumbs-up, I cannot call this a performance car by any stretch, despite its Impreza pedigree. The 0-100km/h time of 10.3 seconds isn’t dismal, but the Forester is first and foremost a sensible, practical family car. Claimed fuel consumption is 7.6 litres/100km, which is pretty standard in this class; but after a thorough combination of city and long-road driving, the number I achieved was actually around 9.5. Better than before, but not a match for some of the segment fuel-sippers, and perhaps enough to dissuade thrifty buyers who might prefer a more efficient diesel powerplant. 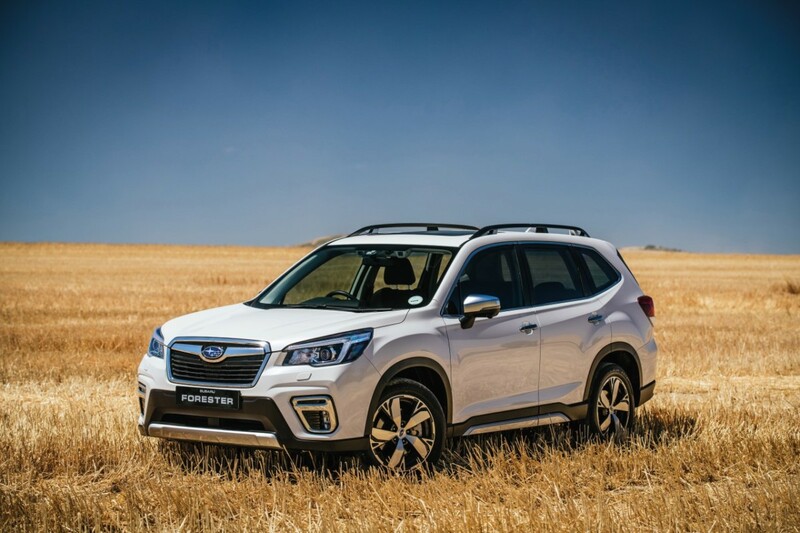 The CVT also throttles the Forester’s towing capability, so don’t expect it to haul anything heavy around. Of course, the Forester’s real selling point is its off-road capability. Compared to other models in the compact SUV segment, it’s the most capable, thanks to its permanent AWD system and excellent 220mm ground clearance. In the S-line model, there is also an X-Mode selector which allows you to switch between optimal settings for mud, snow, sand, and dirt. All models also have a very smooth hill-descent control function, which avoids the jerkiness many manufacturers seem to suffer from. There’s no low-range or diff-lock, meaning that its true off-road capabilities are limited, but it’ll still take you places that many modern SUVs wouldn’t dare venture to. 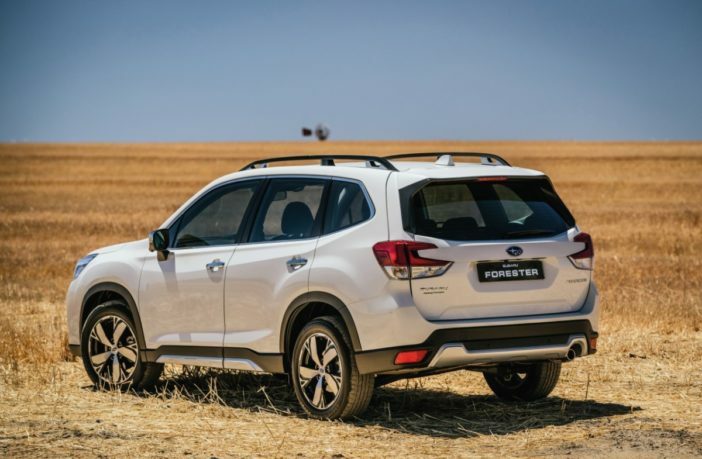 The Subaru Forester has received some much-needed modernisation for 2019, coupled with a significant price decrease. 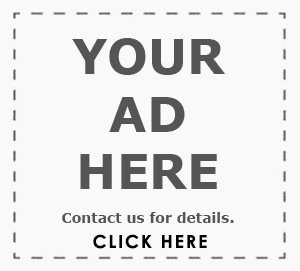 Yes, you did read that right! It also has a truly impressive range of standard features for the revised price, and when compared to others at this half-a-million mark. With a suite of high-tech safety features and impressive off-road capability to boot, it’s easily the best package in its segment. This is a superb family-oriented vehicle with plenty of practical nous in its favour, and worth hanging onto for many years to come. 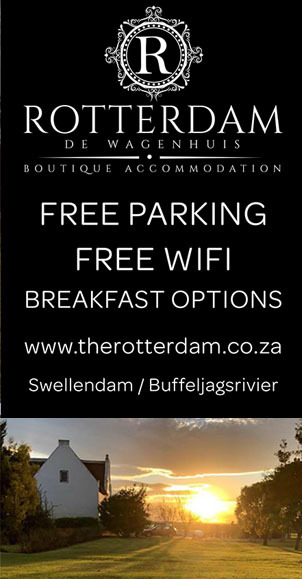 For a full specifications list, click here.